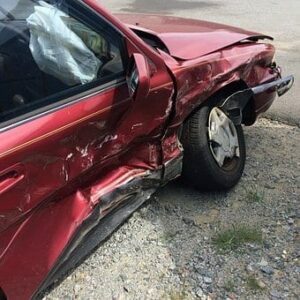 Hit and Run Personal Injury Car Accidents – Your Rights! Getting into a car accident with personal injury is never something that anyone wants to happen, but it is even worse when the driver that hit you flees the scene of the accident. Leaving the scene of an accident illegal in Rhode Island and Massachusetts, and we may be able to help you obtain justice. It is important to always call the police. To the extent you are medically able, stay on the scene and provide the police with as much detail as possible involving the car accident, including all identifying information of the other car and driver of the hit and run accident. If you have a passenger, other people in your car, and/or outside witnesses, it is a good idea to get their contact information and to ask then to provide a written statement to the police. The more information you can provide to the police, the better the chance in pursuing a personal injury claim. Treat your personal injuries as soon as possible. Many insurance companies try to blame our clients or question personal injuries in situations where medical treatment such as an ambulance transport, emergency room visit, or other immediate treatment is not obtained. After a car accident, our team is standing by to help answer additional questions and to pursue your case. Do not hesitate to text or call us as soon as possible so we can help and preserve your legal rights. We can help you before any insurance company tries to trick you by calling you or coming to your house. Remember that insurance companies are for profit companies that act in their own financial interests, not yours. We can help level the playing field. Our experienced Rhode Island hit and run accident lawyers know how to hold insurers accountable and our team wants to help and give you the best possible chance of getting the compensation you deserve.